"Humans build cities and live in them, but many other organisms live in our cities too. We wanted to see whether natural populations are adapting to urbanization. We also wanted to understand the ecological features of cities that might be driving such adaptations," says lead author Ken Thompson, a UBC PhD student who conducted the research while completing a master's degree in the Department of Ecology and Evolutionary Biology at UTM. "We saw this as the ideal model system to test if organisms adapt to cities," Johnson says. 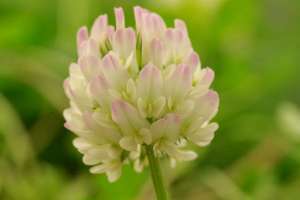 "We know clover adapts to temperature variation at continental scales, and we know there are similar temperature changes across cities like Toronto, New York, Montreal and Boston." Air temperatures in cities are often a few degrees higher than surrounding rural areas due to a sparse tree canopy and acres of asphalt and concrete that absorb and reflect the sun's heat. 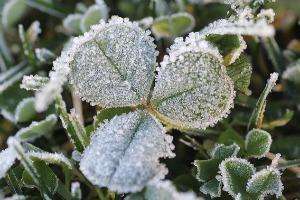 Because of this "urban heat island effect," the researchers expected to find evidence of cyanogenic traits in urban clover. "We expected the urban plants to have more cyanide in the city because warmer temperatures would result in less freezing," Thompson says. "But we found the exact opposite—populations are evolving decreased levels of cyanide toward the urban centre." The same pattern was repeated in clover samples from Boston and New York City. "Data tells us that the air temperature is warmer in the city centre," Thompson says. "We needed temperature data from the plant's perspective." The team monitored ground-level temperature sensors over the winter. The sensors revealed a surprise—despite warmer urban air temperatures during the day, it is much colder at ground level in the city centre at night than it is in the country. We've called this the "urban cold island effect."" By analyzing satellite images, the researchers concluded that snow cover played a crucial part in the process. "Snow is a great insulator of the ground, so plants buried under snow are much warmer than plants that are not," Thompson says. "Rural populations are more insulated by snow, but we found a decrease in snow cover in urban populations, leaving plants exposed to cold temperatures. This appears to cause natural selection for plants that lack cyanogenic traits in cities." The sole outlier in the study was Montreal, which experiences more urban snow cover than the other cities in the study. "There's no chance for the "urban cold island effect" to kill off the plants carrying cyanide genes," Thompson says. "We're learning that organisms are rapidly adapting to the unique environmental conditions associated with urbanization," Thompson says. "We know a lot about the climates of cities, but this research shows that cities are having surprising effects on living organisms. We need more data on how evolution is happening to understand the effect of urbanization on living organisms." How much warmer has Hong Kong's urban area become during the past four decades?